Filmmaking is all about storytelling, we’ve heard that a thousand times. When people leave the theater after watching a great film they don’t talk about the technical aspects of the movie, apart from cinematographers and film critics, most people comment on how the story affected them. No, it’s usually more like “don’t go into that room” or “oh no, the alien is going to find her!” For that reason, the filmmaker should be able to use the technical elements in a way that best serves the story. Just like great editing is often called “the invisible art,” among the numerous “invisible” technical aspects involved in a movie, the use of the lenses is arguably the most important. 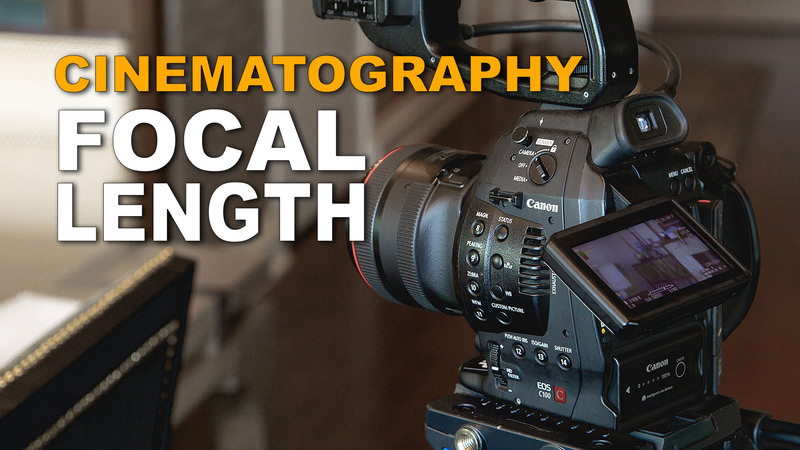 Lots of inexperienced filmmakers are very concerned about the camera body or the sensor but in reality, a good cinematographer needs to know about lenses, particularly how to use the lens to frame a scene and set the mood for the film. The lenses are like the eyes that allow the audience to “see” the story of a movie, everything that goes in the final movie is directly influenced by the lens choice. Different lenses see differently, therefore, the lens can tell the story from a totally different perspective and change the whole experience for the viewers. Many directors allow the cinematographer to decide which lenses are best for the movie. However, some directors have very specific opinions about the lens choice, Stanley Kubrick, for instance, had a strong background on photography, and was obsessed with cinematography and contrary to most directors that usually rent the equipment, Kubrick had his own equipment, that allowed him to have his own workflow. According to Joe Dunton (ex-Executive chairman of Panavision), he would ask the manufacturer to send him ten lenses and he would keep his favorite. He even had his own lenses custom made for him. An example of that is the iconic NASA Zeiss f/0.7 glass that he used in the acclaimed “Barry Lyndon” in 1975. The lens choice can change several aspects of a movie, the first and perhaps the most obvious is the focal length. Most directors and cinematographers seem to have a favorite focal length and the reason for that can differ from director to director. It might be determined by what skills the director or cinematographer has up his sleeve. It might be a direct influence from one of his favorite directors, or simply the way the director/cinematographer “sees” the movie. Steven Spielberg, for instance, is recognized as one of the best directors in terms of film blocking and is also famous for extensive use of wide lenses (particularly the 21mm). That makes a lot of sense when considering the fact that wide lenses favor the style of camera movement regularly used on Spielberg’s movies, due to the fact that wide lenses reveal more of the landscape surrounding the main action, unlike long lenses that don’t really give you as much perspective of the surroundings. Spielberg, himself, had mentioned that the 21mm is his favorite lens because it is the way he “sees” the film. Gordon Willis, cinematographer best known for his work on Francis Ford Coppola’s “The Godfather” trilogy, for example, considers himself a 40mm person. 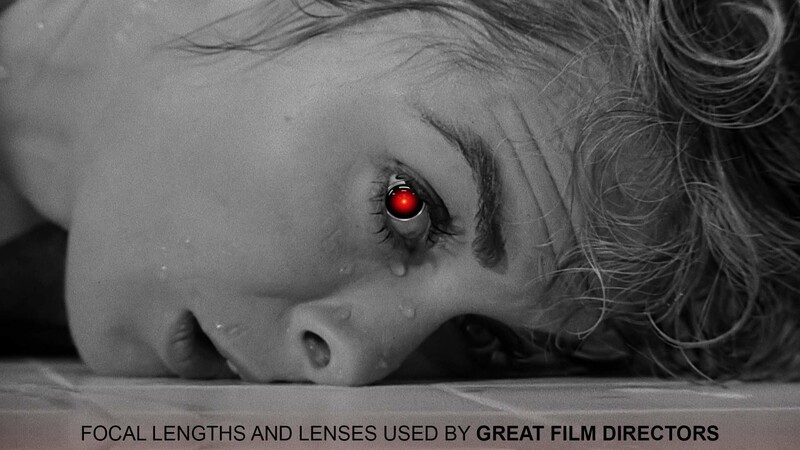 As well as Kubrick, Gordon also had a custom made lens designed for him (the Panavision 40mm). Differently than Spielberg, Gordon Willis’ reason to prefer the 40mm is that “it looks very normal on the screen”, in his own words; “ I step into a room and a 40mm is perfect, you are not pushing anybody, you are not puling anybody”, meaning that the faces and natural proportions are not being dramatically changed by the lens distortion. The master of suspense, Alfred Hitchcock, was a perfectionist. He preferred the 50mm, and he strived to make his actors look good. he favored a natural field of view and had the luxury to have film sets built to accommodate the 50mm field of view. Shane Hurlbut, (Drumline, Terminator Salvation) believes that when choosing the focal length, the choice should take into consideration the “feel” of the story from the perspective of the viewer at a given moment. The same “framing” on a 24mm or an 85mm will not only reveal different elements of the environment but also completely change the perspective from where the spectators see it, making the audience part of the action or someone that observes it from far away. On the epic opening fight scene of “Gladiator” John Mathieson, the cinematographer that frequently collaborates with director Ridley Scott, used long lenses in order to make it look like there where much more extras than they actually had on set. If wide-angle lenses were used instead, it would reveal more of the surroundings and in this case empty spaces. The decision to use long lenses that compressed the background allowed him to position the extras together, “aligning” them in a way that looked like a much bigger crowd. Must Watch: What is Focal Length in Cinematography? The lens choice is not only related to stylistic preferences, but also to other aspects of the project. In a period film, for instance, interiors and night scenes are likely to be underexposed due to the need to make the lighting scheme cohesive with the period in which the story is told. The use of a fast glass will usually allow for a more natural and convincing lighting setup. On the other hand, a sci-fi movie with very high exposed ambients might benefit from a sharper look allowing a higher t-stop. The T-stop (or f-stop) will affect not only the amount of light but also the depth of field revealing more or less of the background. This creates focus or reveals a world of details. Through the use of very deep depth of field, Gregg Toland (A.S.C), cinematographer of the acclaimed mystery drama “Citizen Kane” directed by Orson Welles, created incredible scenes where everything is in focus. In a completely different circumstance, John Alcott, cinematographer that collaborated with Stanley Kubrick in the masterpiece “Barry Lindon,” used extremely shallow depth of field to set a unique atmosphere. 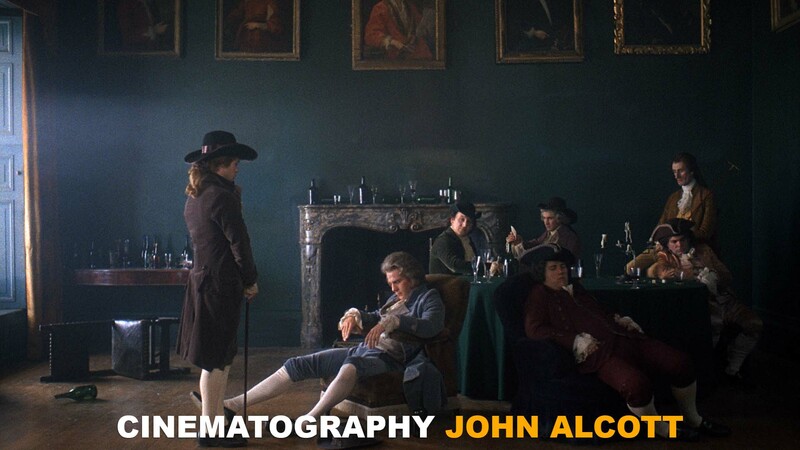 The movie is a class of cinematography and Alcott won the Oscar in a year of incredibly strong competitors. The NASA Zeiss f/0.7 glass allowed Kubrick to light some of the interior scenes mostly with candle lights, in this situation, the extremely shallow depth of field required that the actors had their movement meticulously planned to facilitate focus pull. According to Joe Dunton, Kubrick was obsessed with focus and a whole new system was used with an extra camera filming the actors from the side and projecting the image to a monitor so that the focus puller could see when the actors changed their distance from the camera. They also spent a lot of time practicing to focus before the actual shooting in order to be able to use the 0.7 lens. In horror movies, underexposed sets hide most of what’s going on, revealing only what is necessary and leaving space for the imagination. Shooting in environments like this requires the use of fast lenses. Combining that with long lenses that show only parts of the scene creates real fear. 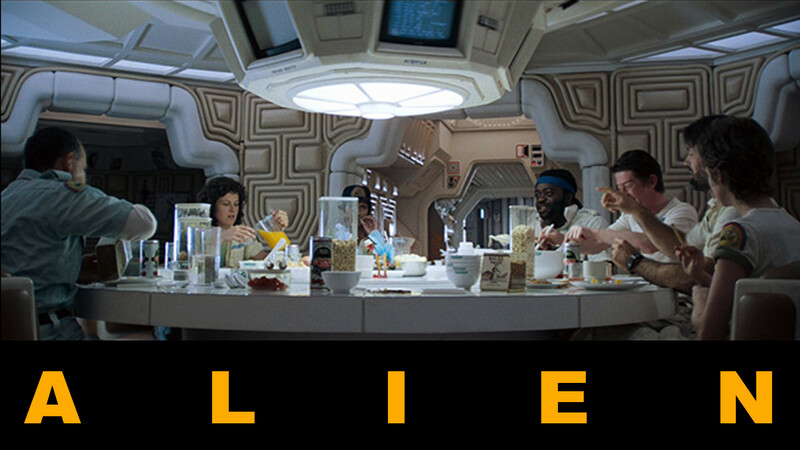 That approach can be seen in the science fiction horror movie “Alien,” directed by Ridley Scott, where cinematographer Derek Vanlint was able to create mystery by not really showing much of the Xenomorph except for parts of it briefly and in the dark. By doing that, Ridley unlocked the scariest subconscious imagination. This is the secret to true horror. The things we don’t see scares us more than the things we do. Gordon Willis, cinematographer responsible for Francis Ford Coppola’s The Godfather trilogy was once called the “prince of the darkness” for his genius use of underexposed scenes and hard contrast and shadows on the faces. The look of The Godfather was achieved by combining the use of three-strip Technicolor film, the lighting, and the 40mm Super Baltars lens. Made by Bausch & Lomb, this lens is full of character and contributed to the creation of the emblematic “yellowish look” that would later be consistently copied on period movies. Different lenses render color and contrast differently. Modern lenses tend to produce “cleaner” and more accurate images while vintage lenses often produce images with much more character and personality. Sometimes they produce very interesting flares and a softer image. Old lenses are commonly used to create a dreamy atmosphere that can be used in specific situations, for example, to embellish a romantic moment in a story. The lens can also help smooth little imperfections on the actor’s skin. Based on the way the story is put together, a certain shot might make sense whereas, in a different sequence, it would not work. The cinematographer has to be able to see the big picture and figure the lens choice that works in the context of the development of the narrative. In one instance, a close up on a cutaway shot can help to tell the story by bringing the audience’s attention to a specific element in a scene that would otherwise pass unnoticed if the same cut was shot wide. The lens will also affect how dynamic a moving camera or object will look. It is commonly known that wide lenses help with the dolly and crane shots. It is also interesting to notice how each type of lens favors a certain type of movement. Several of Steven Spielberg’s blocking techniques are intimately connected with his lens choice. Let’s take into consideration the “track-in shot,” where the camera moves physically closer to the subject (normally from a close-up into a tighter close-up.) That shot would not produce the same effect if shot with a long lens. The same applies to the famous “dolly zoom,” where the camera movement combined with zoom and focus pull creates an iconic effect present on so many Spielberg films. This technique would not work nearly as efficiently with a long lens. Michael Bay’s “epic spinning shot” on the other hand uses a long lens to compress the background and creates the illusion of a much faster camera movement. At the same time that the subject stays stationary, the world seems to spin very fast around him. This effect is most definitely related to the characteristics of the long lens applied. Another good example of how lenses can influence movement is the opening battle In Ridley Scott’s “Gladiator,” where the use of a long lens actually increased the camera shake intensifying the aggressiveness and fast pace of the scene. John Mathieson explained when talking about that scene that those big men actually move slowly, so using a long lens and allowing the camera to shake made the whole scene and the movement of the actors feel much faster, increasing tremendously the visual impact of the whole battle. He also decided not to shoot in slow motion at this moment, as any missing blow of a sword in the fight would be much more noticeable in slow motion. Apart from lenses, lens filters deserve to be mentioned here. Through the use of filters, cinematographers can change the way a film will Look. ND filters (Neutral Density) can be used to allow the cinematographer to shoot under less than perfect situations while preserving the desired f-stop and the aesthetics chosen for the movie. Polarizer filters give the cinematographer control over the look of reflective surfaces such as blue skies, water, and reflections through glass windows. Not to mention the way light reflects car surfaces and an asphalt street, making it look brighter or darker. Other filters can be used in a more creative fashion changing the image in a very subtle way. Filters like the ‘Tiffen Black Satin’ can soften wrinkles and blemishes on the actor’s skin, as well as lowering the contrast and creating a soft quality of light. Filters can also be used to completely change the look of a scene, create a dreamy effect, or an ethereal and strangely defocused, surreal look, or a very colorful effect. That approach has been extensively used in music videos, but can also be applied to narrative pieces as long as it serves the narrative of the film. A good example of the use of creative filters can be seen in the work of the amazing Janusz Kaminski in films like “Minority Report. To any aspiring cinematographer, I strongly recommend that you research the work of the cinematographers and directors named above as well as watch their movies. It’s also worth considering that this article is not intended to teach the techniques mentioned here and I strongly encourage you to take a closer look at each one of them until you’re able to apply them in your own work. This article is a general overview to create awareness of the extremely important (and often overlooked) role that lenses play in cinematography. What do you think? How do you use lenses in cinematography?